This Removable Plate George Foreman Grill is the best George Foreman Grill for the money! Removable plates, dish washer safe, vertical storage, countdown timer, 1.5 inch hover top grill for melting and more! The unique float & lock hinge, Safe Touch top housing, extended metal loop handle makes melting cheese and broiling fresh and frozen foods easier than ever. 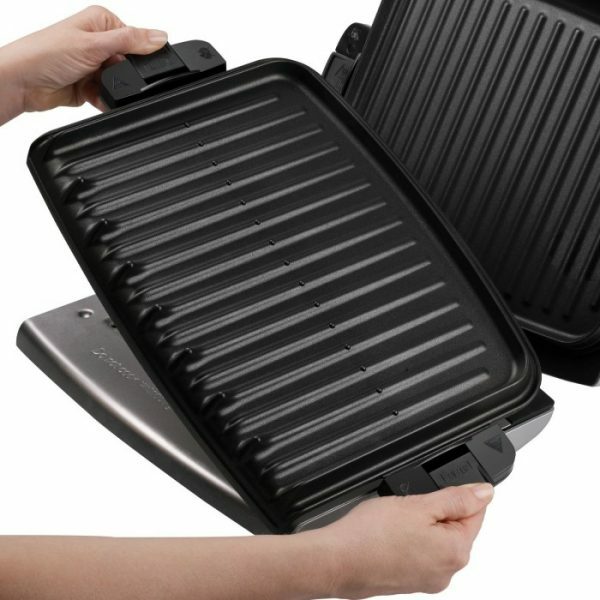 The George Foreman removable plates grill makes grilling indoors a breeze. The digital countdown timer lets you know when food is ready and dishwasher safe removable plates make clean up easy! The grill plates ARE REMOVABLE! The grill plates are easily removable and are dishwasher safe – clean up is a snap! 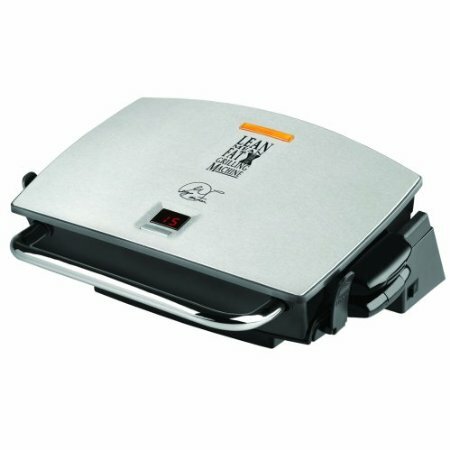 The unique George Foreman nonstick removable plates counter top grill’s sloped design allows fat to drip away from your food and into the included drip tray. Save space with the lock and latch vertical storage ability.